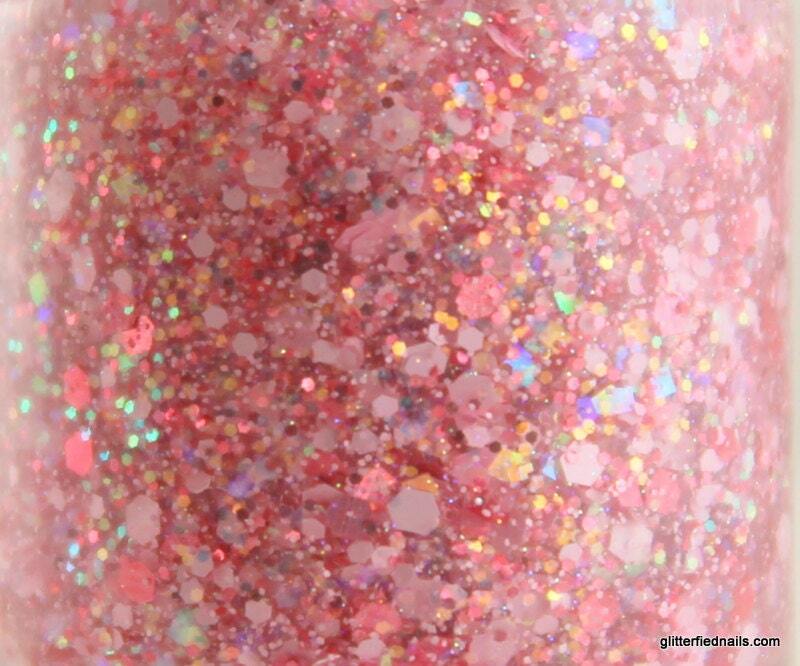 Pink Carnation - Pale cotton candy pink plays against rose holographic glitters and accented with iridescent squares, all floating in a clear nail polish base. 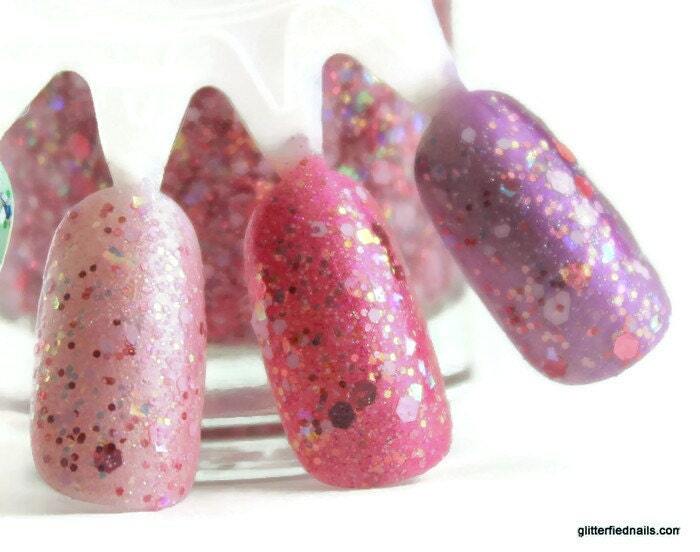 Wear alone or over a lighter or darker colored polish for extra pizzazz. 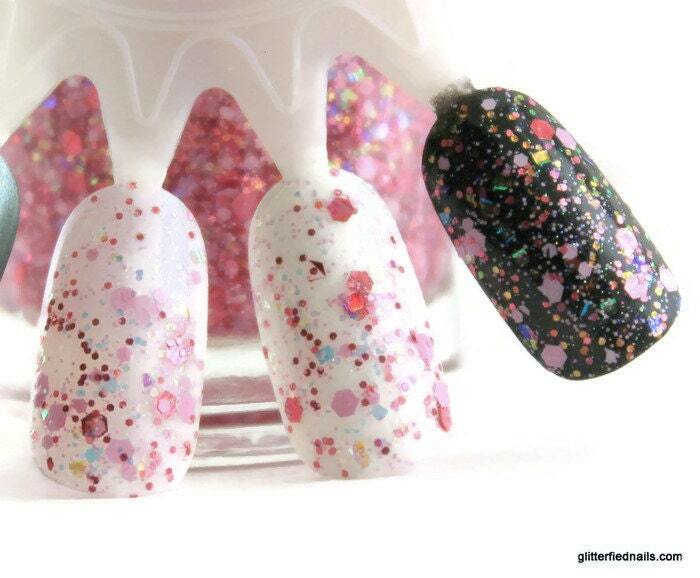 Swatches - Left to Right - 2 Coats over no base, 2 coats over white base, 2 coats over black base. 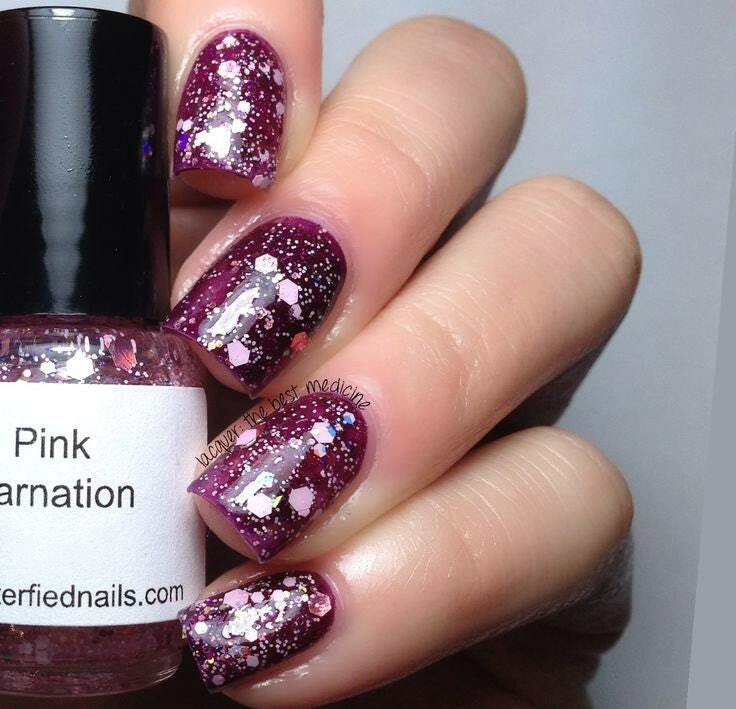 Second set: 2 coats over Spun Sugar, Fuchsia Fantasy and Radiant Orchid, shown as examples only.